Tata Steel UK has reached an agreement with trade unions on a number of proposals that would structurally reduce risks and help secure a more sustainable future for its UK business. The company will next week start consultation with its employees on a proposal to close the British Steel Pension Scheme to future accrual. Employees would be offered a competitive defined contribution scheme. The proposal on pensions and other changes in the employment terms are part of the ongoing transformation plan that the business is undertaking. As part of today’s agreement all parties will work towards making Tata Steel UK a sustainable business. 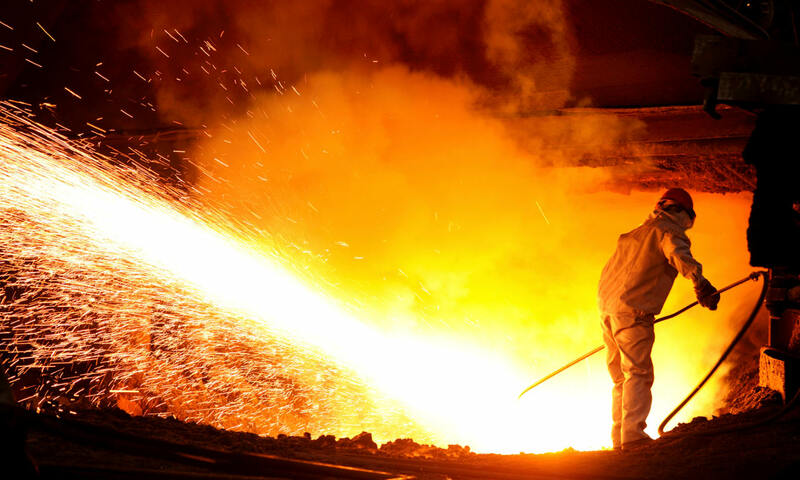 The company and trade unions have also agreed on the principle that subject to the structural de-risking and de-linking of the British Steel Pension Scheme fund from the business, Tata Steel UK will continue the existing blast furnace configuration in Port Talbot until 2021. Further, based on achieving the necessary financial performance and cash flows as per the transformation plan of the UK business, the company will continue to invest across the UK sites to enhance the competitive position of Tata Steel UK in the European steel industry. The company has also offered an employment pact until 2021 which supports employees through future changes by investing in their skills to support further plant upgrades, automation and other digital initiatives. Koushik Chatterjee, group executive director, Tata Steel and executive director for its European business said, “The agreement between Tata Steel UK and the unions today marks an important step forward in the journey to develop a sustainable future for our UK steel business. These are unprecedented times for the steel industry globally with multiple risks including global economic uncertainty, slow manufacturing growth and currency volatility which continues to present significant challenges to the business. Tata Steel is the UK’s largest steel manufacturer. It supplies almost 50 percent of UK carmakers’ steel requirements, including body panels and chassis, and a range of advanced steels for the UK construction industry which help to reduce buildings’ energy use.